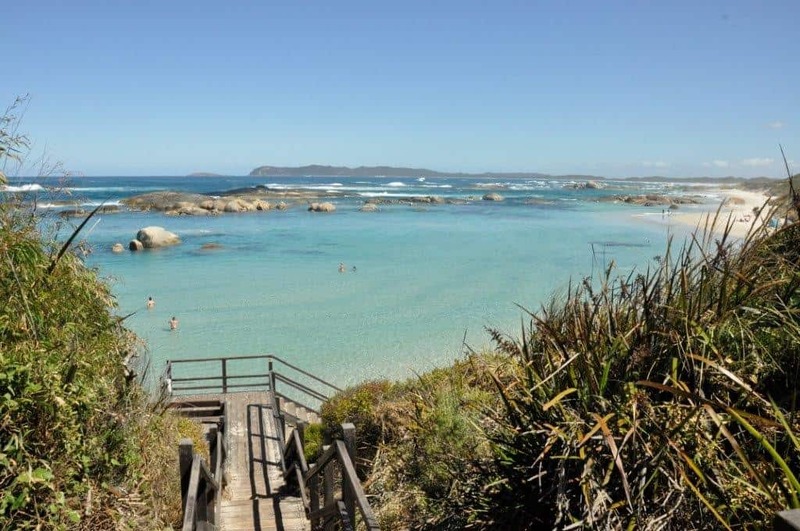 Parry Beach is a stunning place on the south coast of WA, in between Denmark and Walpole. It’s a unique camp ground, and one that I would highly recommend. The site is run entirely by volunteers, who keep the place clean and tidy, and are not paid anything in return for their hard work. 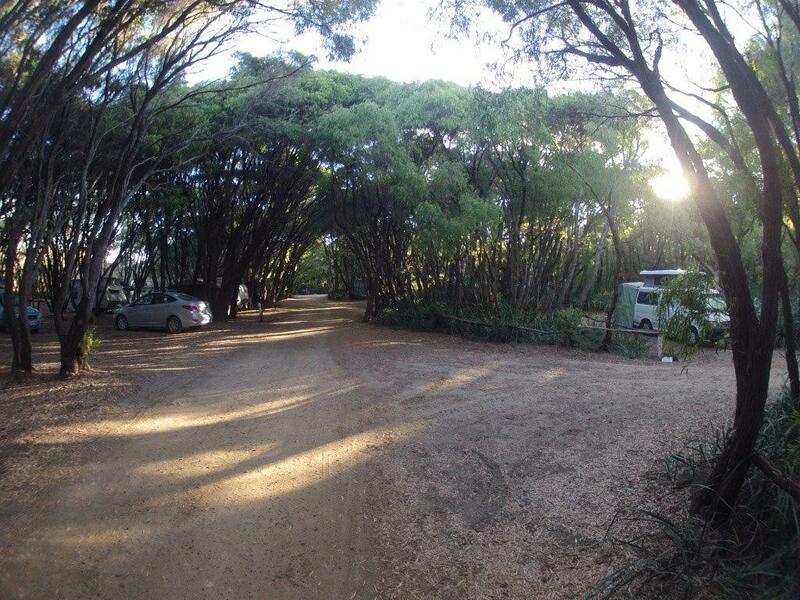 The campground is run in conjunction with the shire and the volunteers, and is a great place to stay. We moved there after a few days at Waychinicup in Albany, and loved both spots. Parry Beach is located roughly 30km west of of Denmark, and is a short drive along the South Coast Hwy. To get there, just turn down Parry Beach road, and drive to the end of the road, where you turn left into the camp grounds. From Perth, its 450km south east, and a good 5 hour drive. Parry Beach has two toilet and shower blocks, rubbish bins, running water (not drinkable without boiling it first) firewood (to be purchased) and a heap of shade under the peppermint trees. The toilet block further inside the camp ground has solar showers, which are lovely (but are not always warm). Overall, it is extremely well set up and very comfortable. Parry Beach hasn’t designated specific camping areas; wherever you can find a place to camp, you are allowed to. There is room for Caravans, camper vans, camper trailers and large tents, but you need to be very careful of the trees when driving around. They are the biggest limitation of where you can camp, but provide a lot of lovely shade. We saw a number of people with Caravans take over half an hour trying to back their caravans into place. The peppermint trees are lovely, but they are also very constrictive as to where you can set up camp! Can you have a camp fire? Fires are permitted in the campgrounds, as long as they are contained and controlled. This is quite unique in itself, as all of the DEC land in the surrounding areas has annual fire bans. Camping at Parry Beach is a minuscule $5 per night, which gets you flushing toilets, solar hot water showers, running water, shade, fires and a lot of fun. This is a very, very good value camp ground which is made possible purely because of the generosity of the volunteers. The area around Denmark and Walpole are very pretty, and have plenty of places to explore and visit. If you are looking for the perfect beach to swim at with some incredible scenery and walks, Greens Pool is the place to go. Just a short drive off the South Western Hwy, some 18 km west of Denmark, and you pull up into the carpark. A walk down the stairs and you arrive at a beach that is flat calm with water so clear you can see the bottom from on high. If you are looking for a walk, you can head across to Elephant rocks, or explore in the other direction along the beach. Snorkeling is popular along the inside of the rocks,and you wouldn’t get a much better place to use the camera. The cheese factory is located on the Scotsdale tourist drive, as you head back into Denmark. It is closed on Tuesdays and Wednesdays, so make sure you pick the day! The Toffee Factory is just a short drive back towards Denmark from Parry Beach. They also make the biggest ice creams in the south west, and sell a range of different jams, sauces and dressings. Denmark is well known for the wineries and meaderies. There are a number on the Scotsdale tourist drive, and several off the south western hwy. 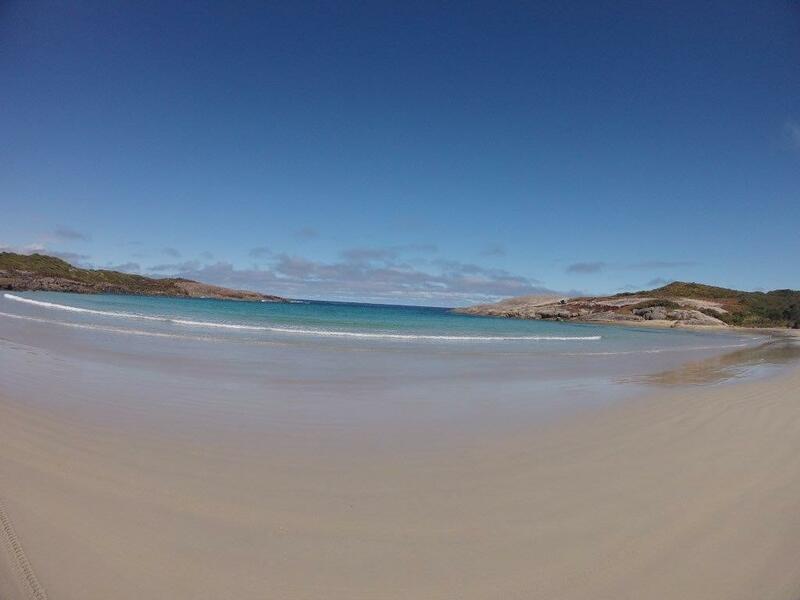 If you have a 4WD, boat harbour is probably my most highly recommended beach in the area. 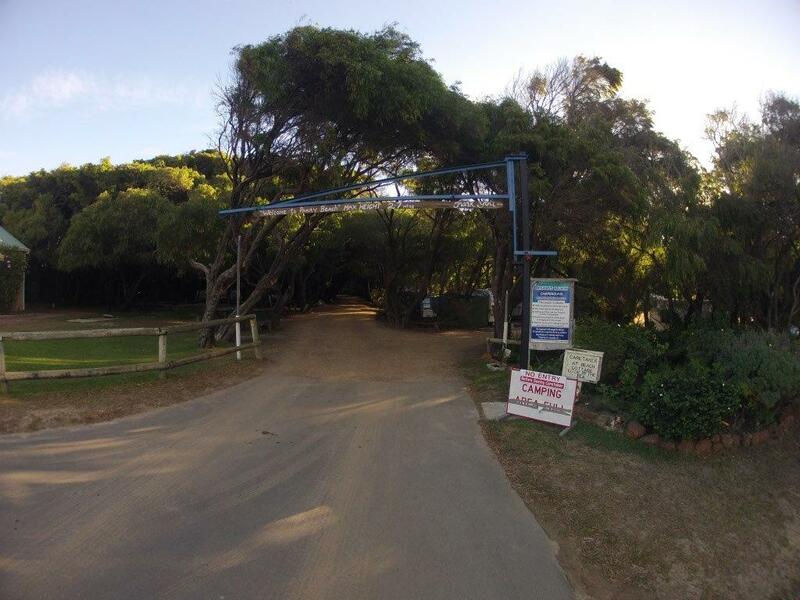 Its only a 7km drive in off the South Western Hwy, and will take you to a perfect beach for swimming. The rocks are great for fishing off, and there is plenty of land to explore. On the other side of the rocks there is a tiny beach (about 15 metres wide) that is trapped between 2 big rocks. The big waves roll in and are broken up by the reef, making it a little wavey but not enough to be too concerned about for a dip! Walpole is another very picturesque place in the south west, and is only a 35km drive from Parry Beach. 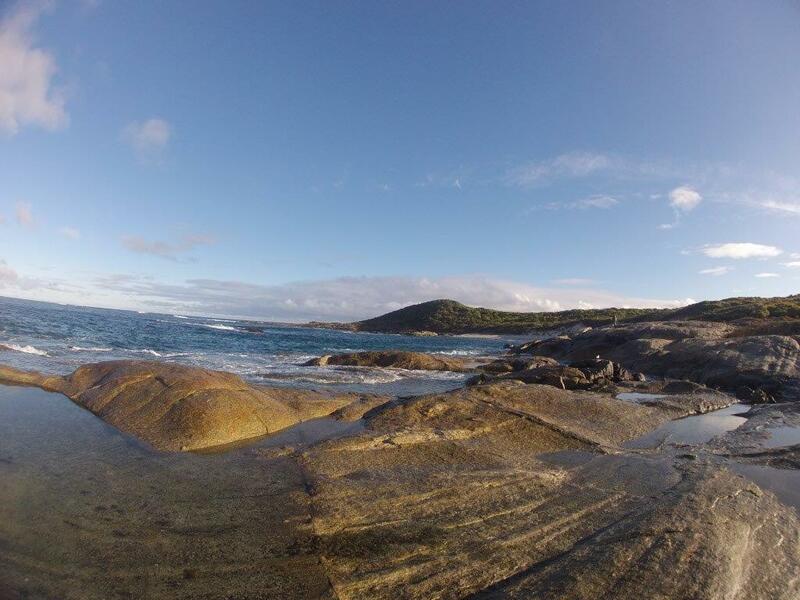 You can explore the Nornalup Inlet and plenty of other picturesque places along the way! 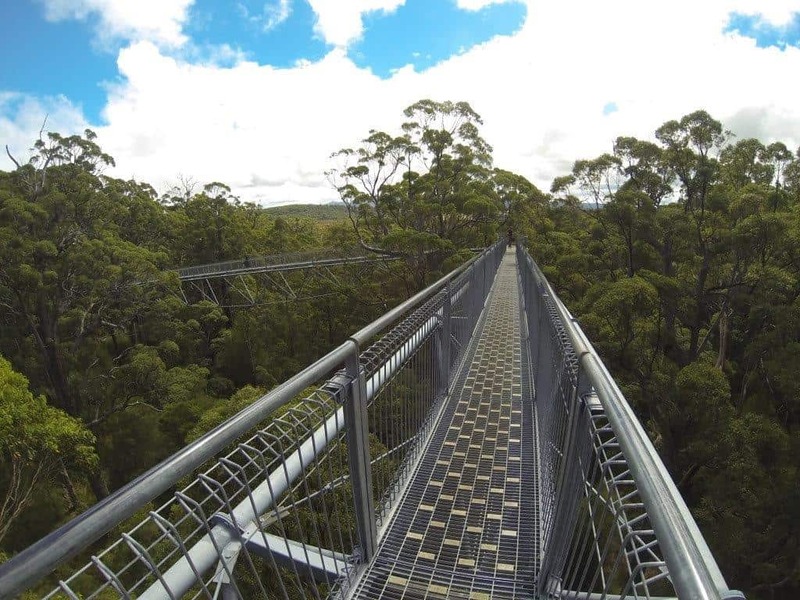 One of the bigger attractions in the area is known as the tree top walk, which is in between Denmark and Walpole. 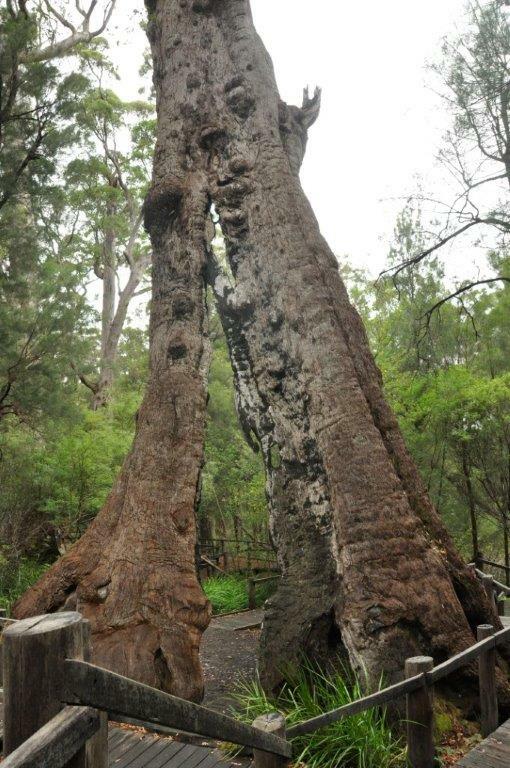 For $15 per adult (or $37.50 for a family) you walk up a specially designed platform which takes you near the top of the massive tingle trees, and allows you to see the area from on high. A lot of these trees are very fragile, and walking on their roots compacts the soil and then they die. The tree top walk solves this problem whilst giving you some of the best views of the incredible forrest available in the south west. If you are looking to explore more of the tingle forest, there is a one way gravel drive (no caravans) that can be done from just out of Walpole. It goes past a great viewing area, the Giant Karri Tree (which is probably about 5 metres in width at the base) and Circular pool. The most popular time to visit Denmark is in summer, where the average temperature sits at about 25 degrees. However, both Autumn and Spring are very pleasant times to visit as well, as long as you remember that it is cooler down south and at night time it can be quite cold! You can drive on Parry beach itself, which turns into Mazerati beach once you have crossed the inlet. The beach is usually hard and compact for quite a distance, but it gets softer the further you go. 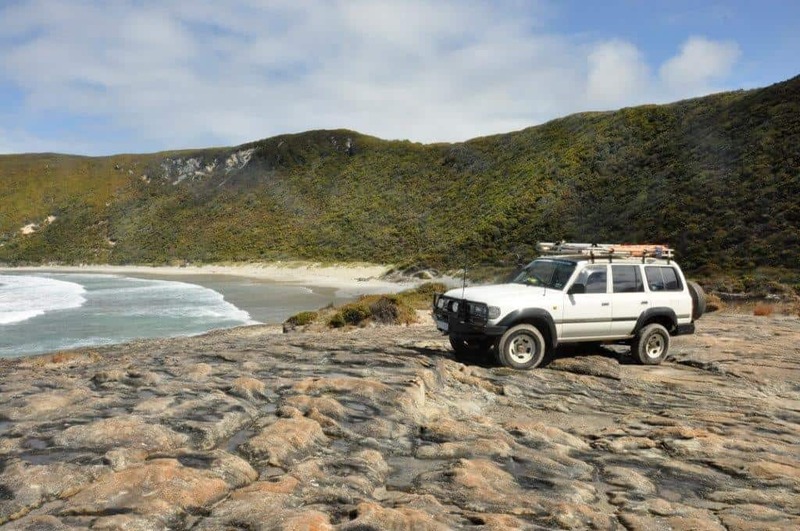 On the same road Parry Beach is on, you can 4WD out to Sharp Rock and Eagles Nest. These both come off the same track, and require vehicles with high clearance and low tyre pressures. If the track has been used excessively recently, you may find it a very challenging 4WD track. When we did it, no one had been on the track for some time, but it was obvious that clearance was an absolute must. 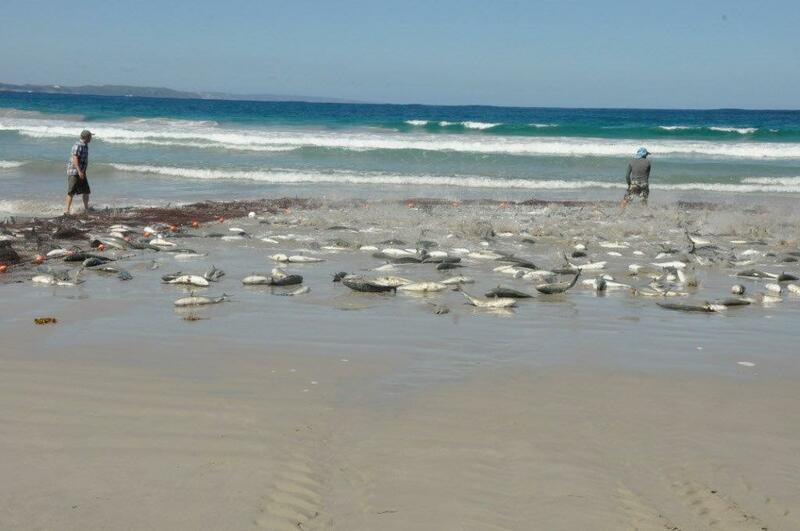 Fishing off the rocks at Parry Beach will regularly net you herring and salmon. Just before arriving at Parry beach a 1.2 metre dhufish (a land record I believe) was caught off the rocks. Apparently they come in to rest after mating season, and this one was huge! Overall, Parry Beach is truly a remarkable place to stay. It’s one of the few places left that you can have a camp fire, and it is fantastic value. So much so, that we included it in 30 unbelievable camp sites in WA. If you are looking for somewhere to stay for a few days to relax and enjoy the incredible area, I’d highly recommend Parry Beach! The other great thing about Parry Beach is that it’s right on the Bibbulmun Track. It’s such a nice spot to camp or even just visit for some fishing or a swim. I’ve done some of the Bibbulmun, but not very much of it. I had fun, but find the 4WD is much more enjoyable! It’s a shame the DEC sites have all banned fires down that way – this is one of the few remaining (probably because its shire run). Much appreciated!